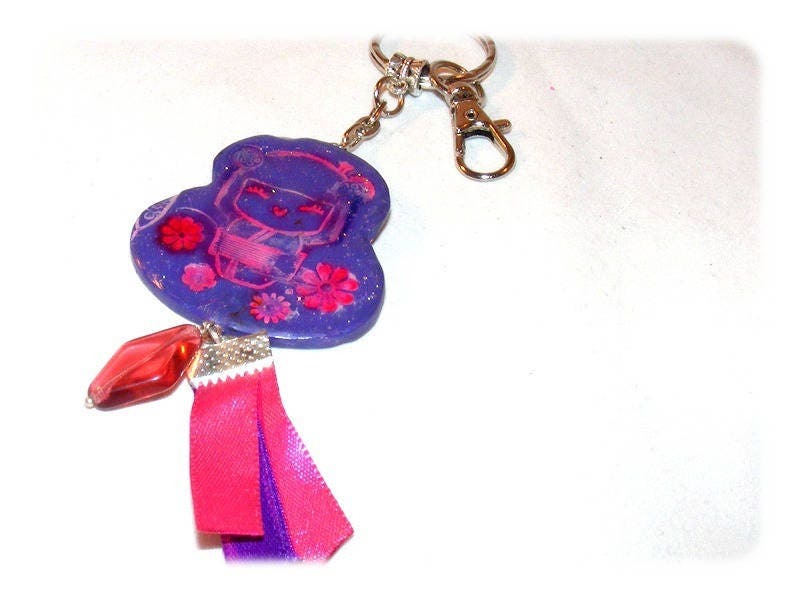 Unusual accessory that can be used as keychain or bag charm. All metal parts of this bag charm contains lead, nickel or cadmium or chrome or mercury, the European RoHs standard. This keychain/bag charm will be delivered ready for gift giving in a pretty pouch.